Brrrrrr! 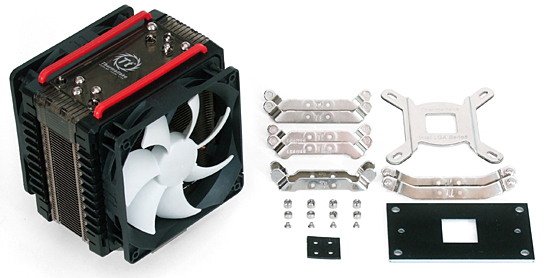 Thermaltake's Frio CPU cooler keeps it frosty! As the first CPU cooler from Thermaltake that's specifically designed for overclockers, the Frio was made with performance in the spotlight. Equipped with a nickel-plated flat contact surface and five heat pipes, this cooler is as stylish as it is effective. There's also room to stick a second 120mm fan (included) on to increase the cooling capacity beyond the already phenomenal 220W! MTBF: 50,000 Hrs @ 40?